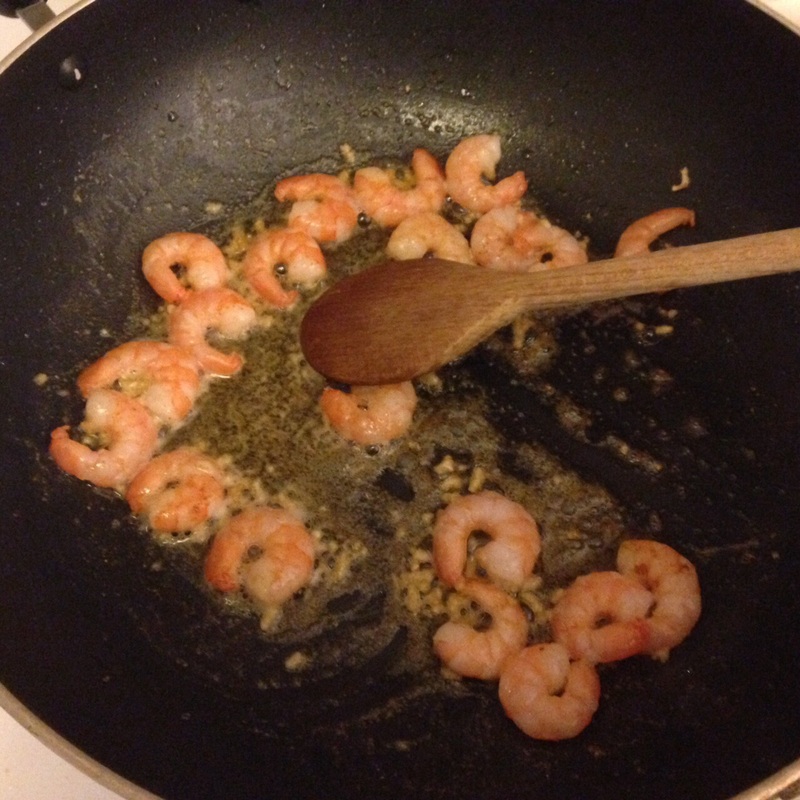 I had medium frozen shrimps from trader joe’s, thawed them really quick under hot water and fried them in about a spoon of ghee. 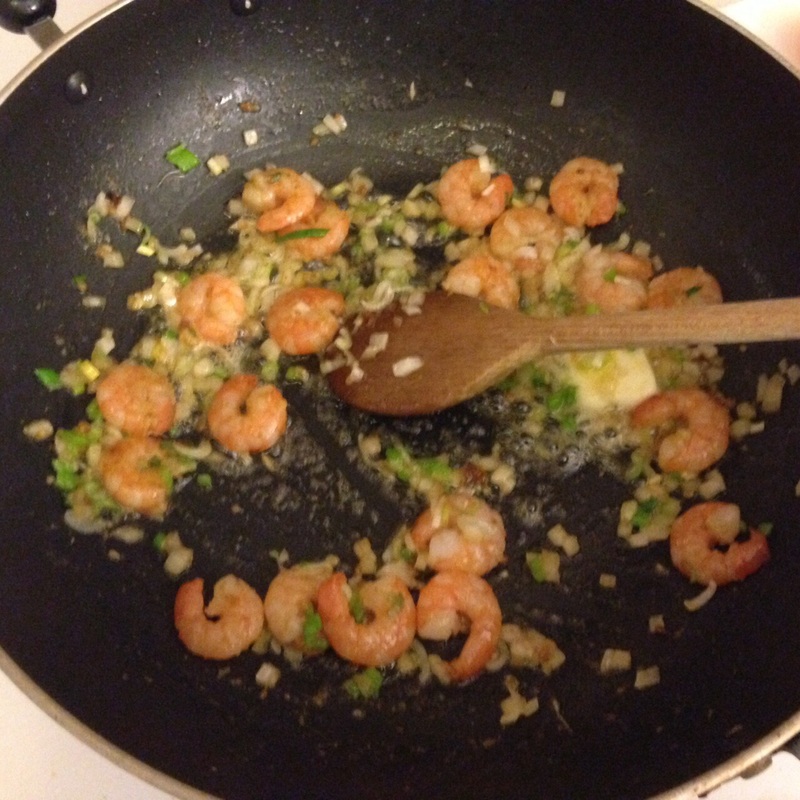 I added some garlic (through the press) quickly after and reduced the heat. seasoned with salt and cayenne pepper and let them cook for about 2 mins. let the onions become translucent and added the spinach. I had a pack of baby spinach salad which I seasoned with a pinch of ground nutmeg and some salt. 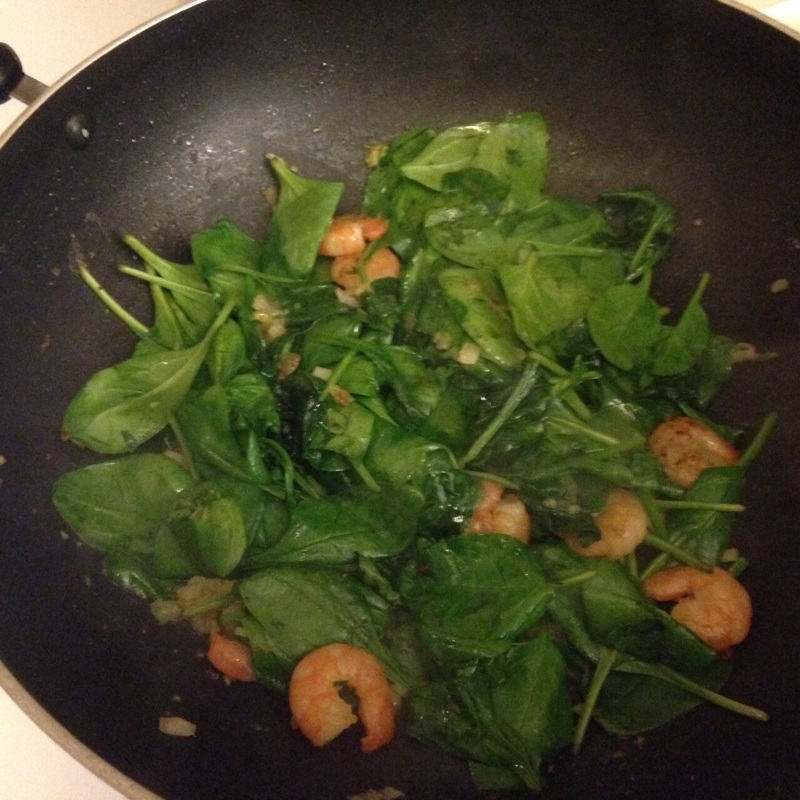 let it cook for just about a minute so the spinach does not become mushy. it will shrink down to almost nothing. once it’s cooked, I added a spoon of sour cream and maybe about half a cup of milk. for thickening, I sprinkeld some flour in and let it simmer for a little longer. at last I poured in another half a cup white wine which has been sitting in the fridge for some time (I know, unbelievable). 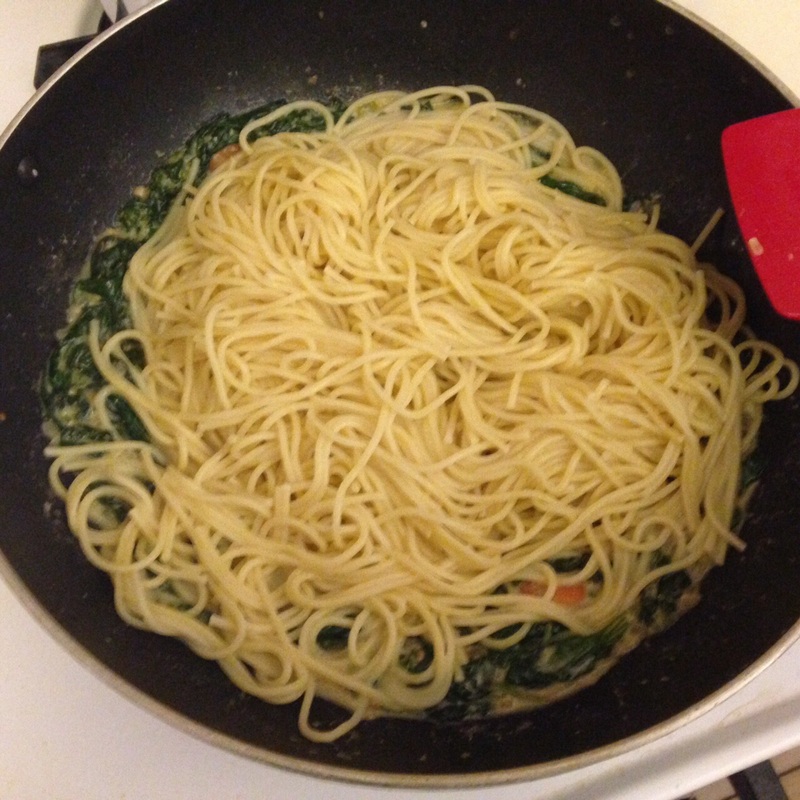 let it reduce for about 5min and added the freshly cooked pasta. 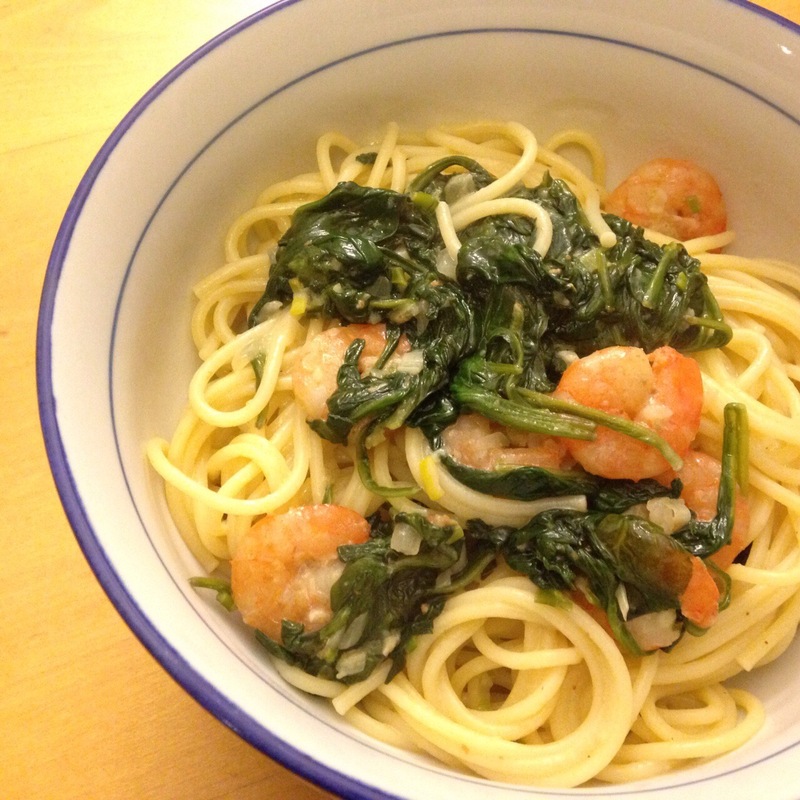 my favorite are still barilla spaghetti no. 5.